Audi confirmed at the 2017 New York Auto Show that they will be bringing the fresh RS5 to our shores. 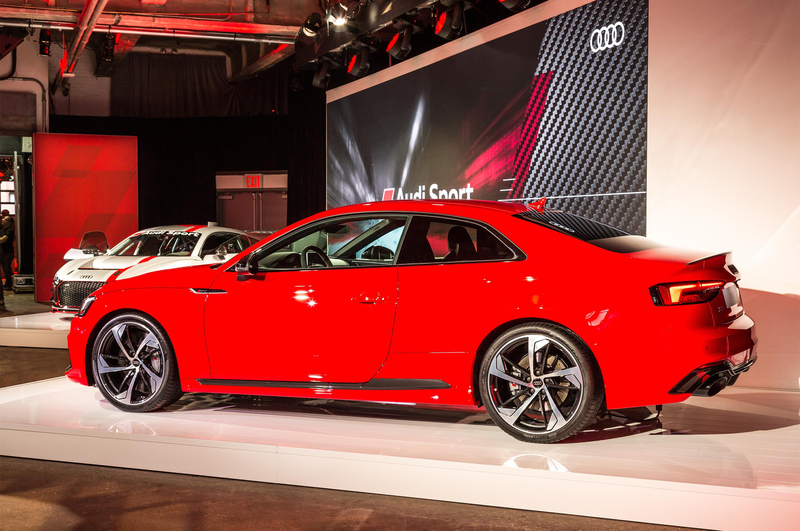 This launches the Audi Sport brand in the United States, ushering in a series of genuinely quick cars to come. 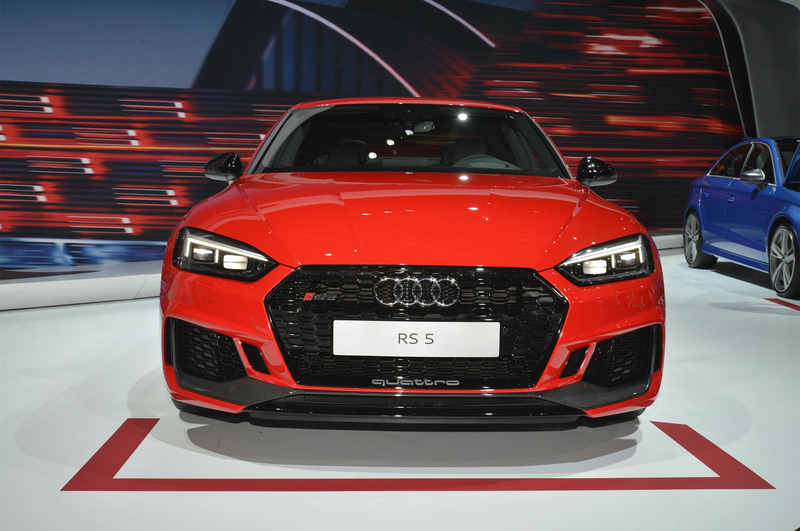 The RS5 joins the RS7 and R8 in Audi's high-performance lineup with the RS3 and TTRS promptly following suit, issuing a fresh range of go-fast models from Ingolstadt. It'll be powered by a 2.9L twin turbo V6 that makes 450 horsepower and 443 lb. ft. of torque which is plenty for the lightened coupe, and it has the looks to match. Although we tend to focus on the RS lineup's engines, these cars really shine in the dynamics department. 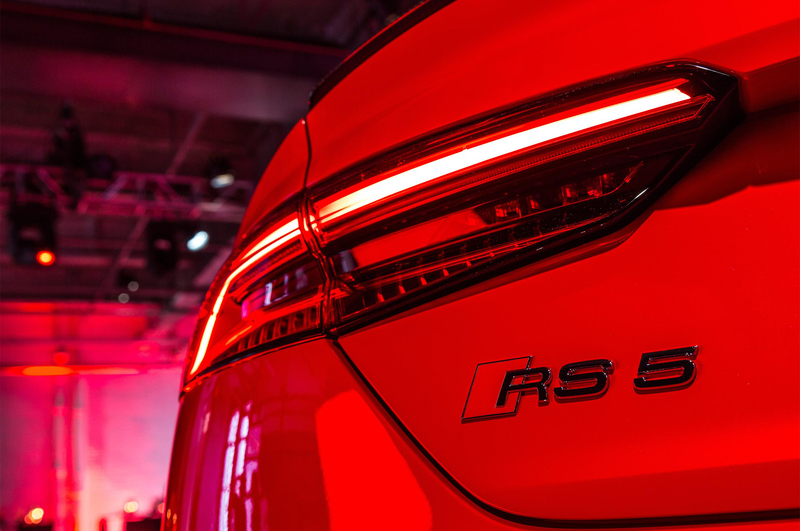 For 2018, the RS5 will be treated to a host of suspension, chassis, and driving tech upgrades to make it compete with its fellow German performance junkies. It sports a lower stance with dynamic ride control, sport differential, RS-specific steering, and even carbon ceramic brakes for dedicated track use. Those are pretty hefty improvements over the already quick S5, and once paired with Audi Drive Control, it should be right up there with the BMW M4 and Mercedes AMG C63 coupe. The cabin is also a step up from the competition with a balanced mixture of sport and luxury accents. Strongly bolstered RS seats will keep the driver in place while hugging them with rich Nappa leather -- diamond stitching is optional for those buckets, if you do so prefer. A flat bottom steering wheel seems to be right at home with the rest of the performance oriented trim, fitting in with the industry-leading Virtual Cockpit digital dash which displays key parameters like torque and G-forces. Audi's infotainment system rounds out the rest of the interior, providing drivers with Apple Car Play and Android Auto, both of which have become standards for the segment. A release date wasn't announced, though we expect to see it Stateside by the end of the year. It should be a leading force for the rest of Audi Sport's lineup in America, providing consumers with a viable alternative to the already established Merc and Bimmer. This classic footage from Sears Point is something special.